It is our third day at Disneyworld and the Magic Kingdom is CROWDED. So we have fallen into a routine of spending the morning there and then going to one of the other parks in the afternoon. Today is Epcot. 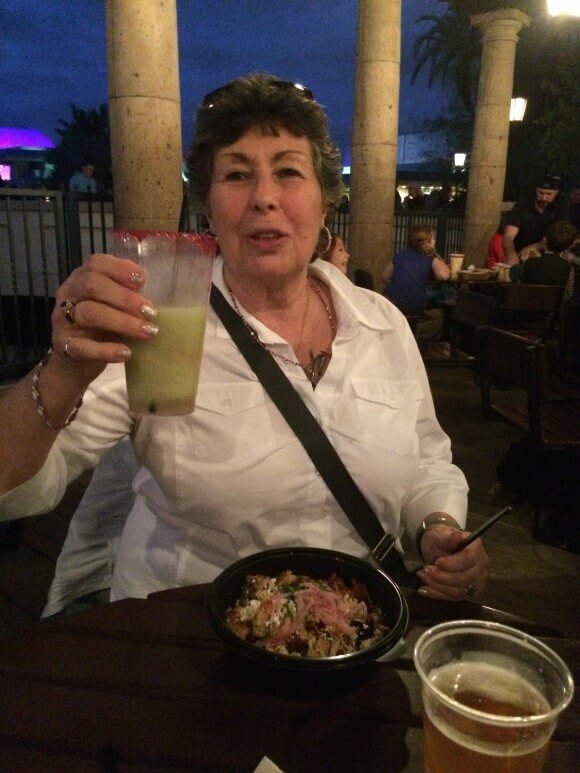 And we are here specifically so that my aunt can try one of the Avocado Margaritas that you can get in Mexico. Because if you didn’t know, the real purpose of Epcot’s World Showcase is not to educate you on other countries, or even to provide you with the ability to shop for items that doesn’t have Anna, Elsa and Olaf on them. The true purpose of the World Showcase is to get drunk. You will not see Princess or Mickey shirts here. You will see shirts about drinking in Epcot, including a popular T-shirt that lists all the countries, which you then check off as you drink in them (spoiler alert: all boxes are normally checked off). Today we also saw a group of people that had custom made shirts – Drunk 1, Drunk 2, and so on through Drunk 5. It doesn’t get more Disney family friendly wholesome than that, folks. But there is a reason that people get drunk in Epcot. Other than being on vacation and able to. It’s because the drinks are fantastic. Actually, let me amend that. Epcot has good hooch! Side note. My friend Lelaina started a really good blog a couple months ago, called thegreenmomcompany. And one of her first entries was about her moonshine coffee. She used the word “hooch” in her blog. I told her that her blog was awesome, because 1) it is awesome and 2) she used the word hooch. As I also want to be awesome, and just like Lelaina, I felt it was necessary to use the word hooch somewhere in my blog as well. So here we are, talking about Epcot’s hooch. 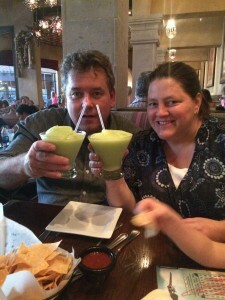 We were introduced to the Avocado Margarita on our third trip, by our friends Moe and Bridget. They have been annual pass holders for forever and are wise to the ways of the mouse. So wise, that they know about tasty beverages that aren’t even on the menus. As I like to think that I am now wise to the ways of the mouse after four trips, I will share with you. But only if you promise to evoke the spirit of Epcot and set up a block party where each house is a different country, and provides an appropriate drink. And you must wear shirts that promote drinking. And me. Something like “We like Beth’s hooch!” Because that sounds family friendly. Now, I haven’t actually made this margarita myself yet (it’s so much better when someone else prepares it and cleans the blender after). So I am not sure how important the white tequila is, versus just the basic tequila that most of us Arizona Level Trophy Wives stock. But I will make it soon, with my stocked regular tequila, and let you know if it is still just as delicious. Blend everything together until smooth and creamy. If want to be fancy, serve in a salt rimmed glass. If want to be super fancy, use the cool red Hibicus salt that is used in Epcot.